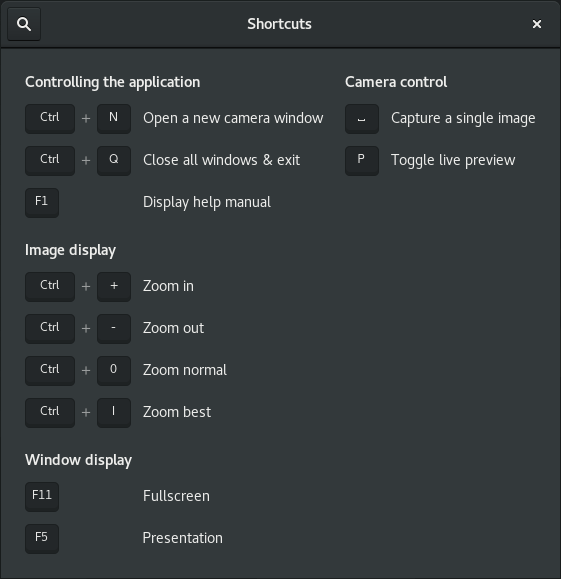 The main camera manager window is where you can control shooting and settings. Along the toolbar are buttons to start a new shooting session, open an existing sessions, show/hide the settings panel, shoot a photo, control the display zoom level and go fullscreen. 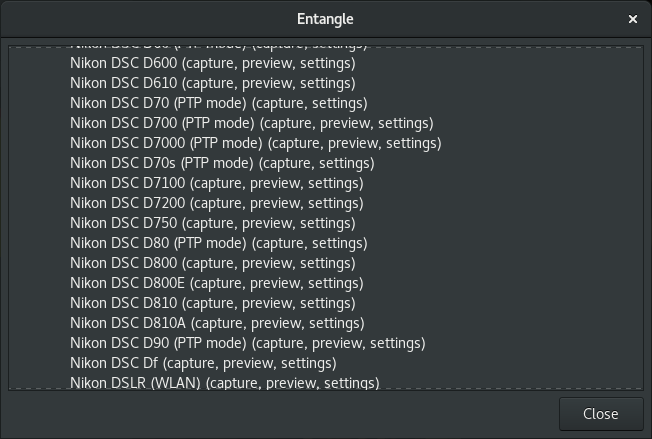 On the left hand side of the screen there are 100’s of controls for changing camera settings. In the future this control set will be customizable to allow infrequently used settings to be hidden, and important ones prioritized. The thumbnails along the bottom show images captured so far. 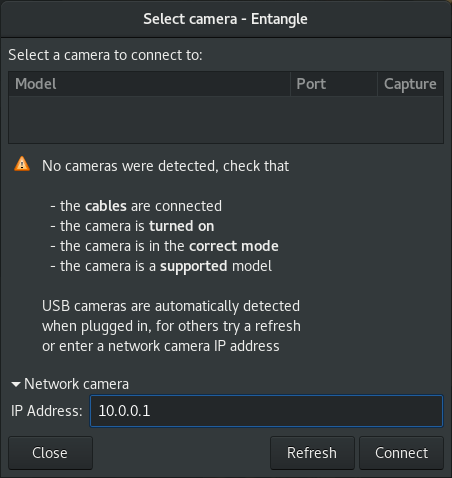 If you don’t have any cameras connected then there isn’t really much you can do with the application. 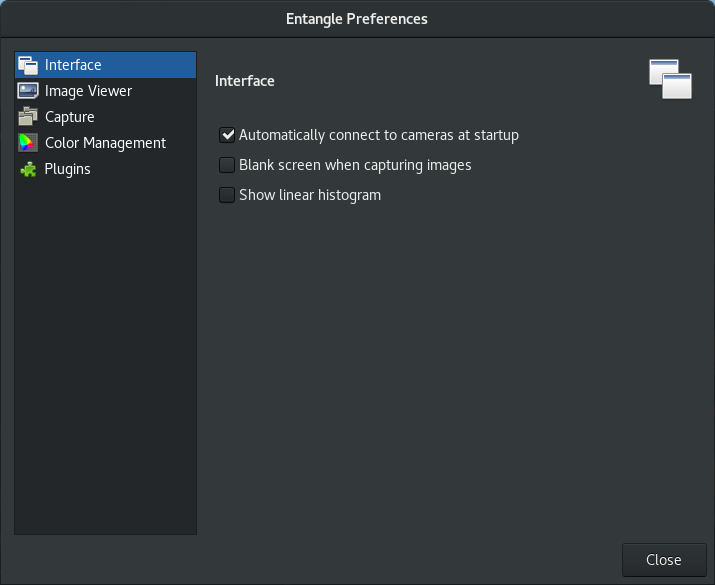 The main camera manager window UI will be in a disabled state, this dialog is displayed allowing a camera to be selected. 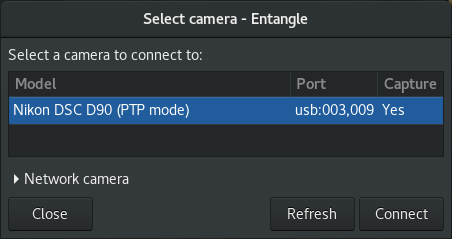 If you see this then you really ought to plug in the USB cable and turn on camera. The basic folder preferences control what directory is used for storing sessions. 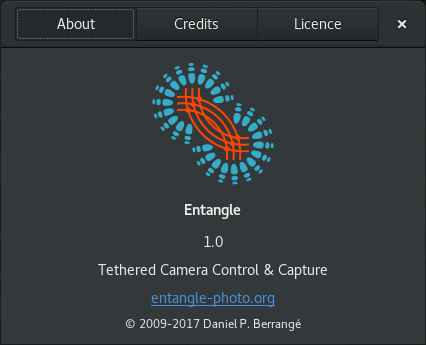 Each session gets a folder, and images shot during that session are saved into the folder using an auto incrementing filename. 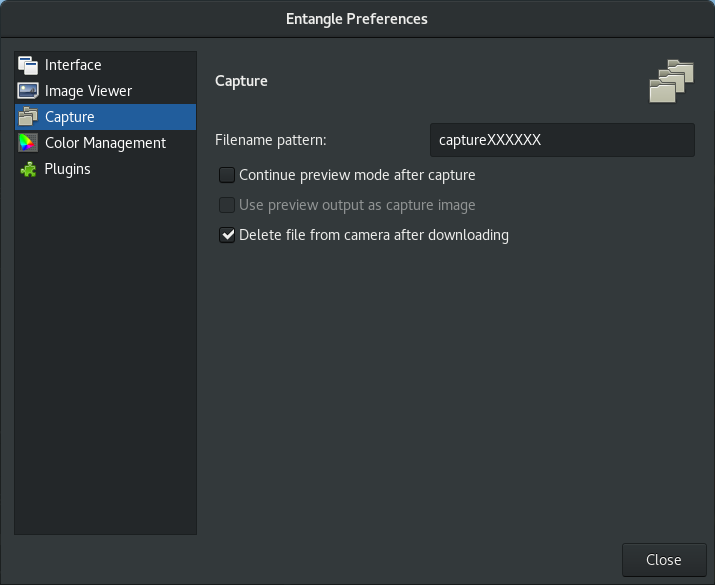 When saving images Entangle will apply the filename pattern provided. It can optionally leave the file on the memory card after saving it locally. 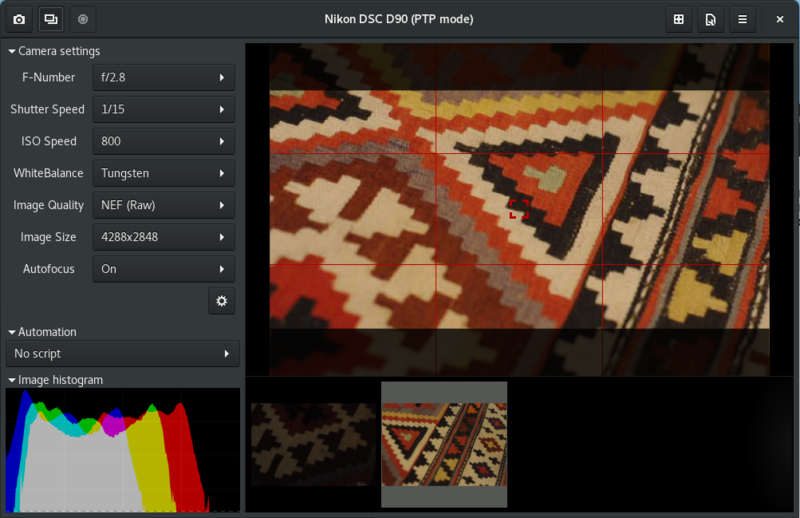 Colour management is of course crucial when shooting and viewing images. 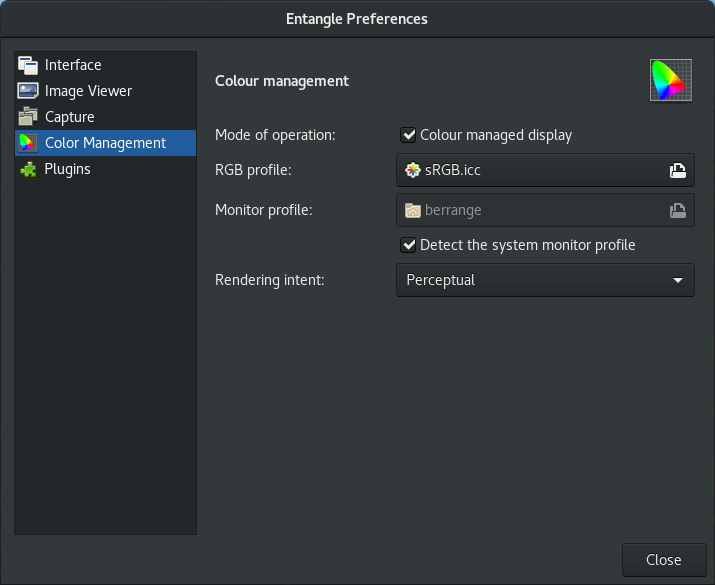 The default application settings will enable colour management if the monitor profile is auto-detected. 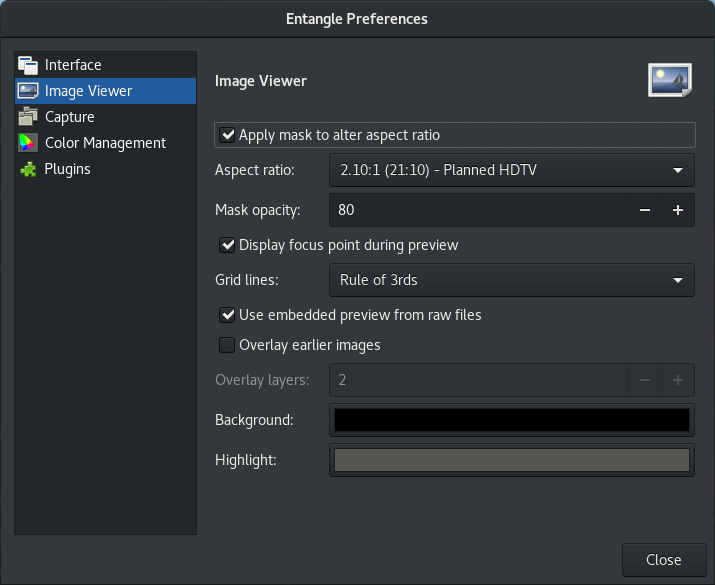 These preferences allow the profiles for the working colourspace and monitor to be overriden. 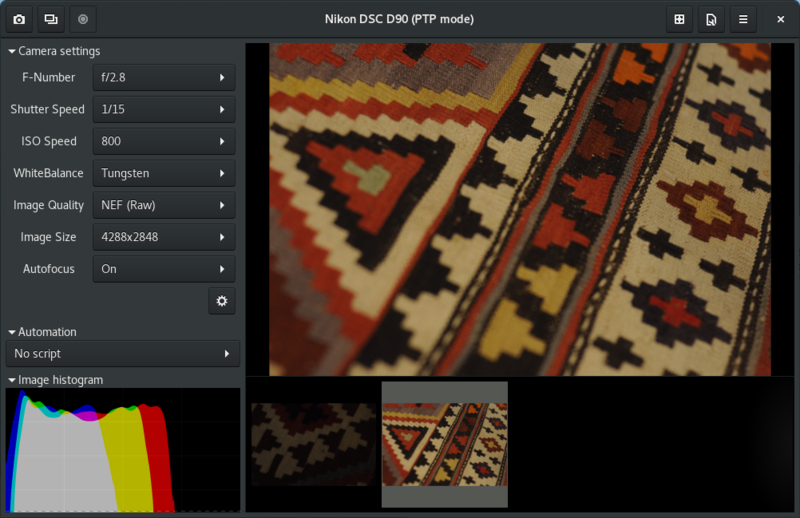 Most modern dSLR cameras are supported for capture and some compact / bridge cameras may also work.